Two distinctly different materials bond tile to its substrate: mortar and grout. Mortar forms the lower bed for the tile and is never again seen after the tile is laid. Mortar is responsible for much of the tilework's structural stability. After the mortar has solidly dried, grout is forced between the tiles with a rubber float drawn diagonally across the tile face. Grout fills the spaces between the tiles and is wiped clean with the edge of the float. Grout imparts structural integrity to the tilework and fills gaps so that debris will not enter. Grout is quite visible, making it a style element as well as a functional element. When purchasing grout, you have a choice between sanded and unsanded grout. Both types of grout have a number of overlapping uses. But your tile project will look better if you can delineate the differences between the two and choose the better one for your job. Sanded grout contains fine sand and should be your choice for most tiling projects because it is cheap and provides a tight lock. Unless modified, sanded grout should be sealed. Unsanded grout contains no sand and is best used for thin grout lines and for delicate tile surfaces. No sealing is required with unsanded grout. True to its name, sanded grout is a Portland cement-based grout with silica sand, inorganic aggregates, and chemicals. Best for creating wider grout lines, sanded grout should be your primary choice for most tiling applications since sand particles have the ability to lock with each other to form a sturdy joint. Sanded grout is less expensive than unsanded grout since sand is a cheaper filler than the polymers in unsanded grout. Due to its porous nature, sanded grout, unless modified, must be sealed to prevent water from infiltrating to the back of the tile and ruining the substrate. Unsanded grout, sometimes called non-sanded grout, is best for very thin grout lines ranging from 1/8-inch down to 1/16-inch. Unsanded grout makes it easier to work with vertical surfaces such as tiled shower walls. The lack of silica aggregate filler in unsanded grout means that it works well with scratchable surfaces such as some ceramic, glass, metal, marble, or natural stone tiles. Sanded grout should be your default choice for general use tiling, such as for flooring and walls. Sanded grout is widely available, has the greatest range of mixed color choices, and reduces grout shrinkage. Think of sanded grout as the default choice grout for everything except for a few outliers that absolutely require unsanded grout. In fact, using unsanded grout as your universal grout for all applications can be detrimental because structurally it does not hold up as well as sanded grout. 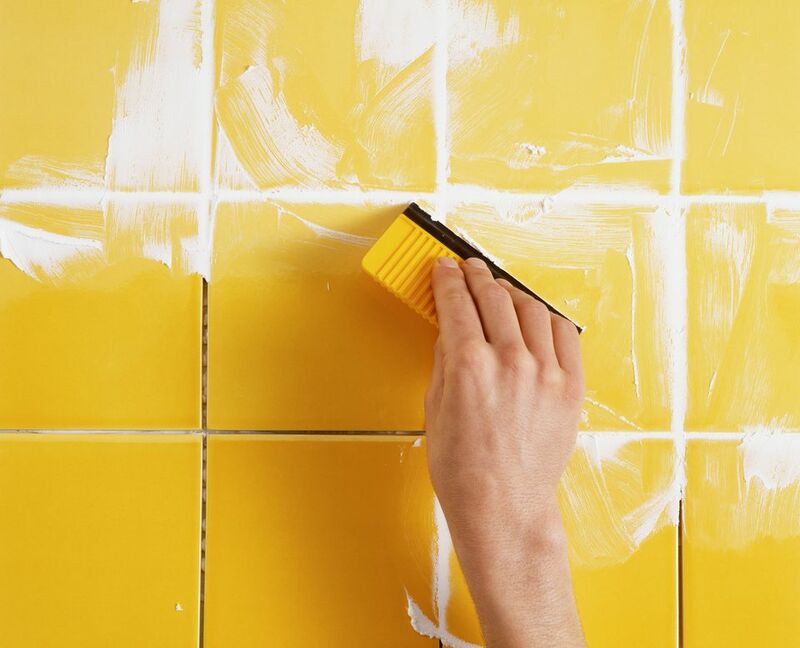 While you can use either sanded grout or unsanded grout for vertical tile such as bathroom or shower walls, unsanded grout provides a better working material. It sticks better to vertical surfaces with less of the slump associated with sanded grout. Due to unsanded grout's polymer content and extremely low porosity, it does not need to be sealed. Sanded grout is best for grout lines ranging from 1/8-inch to 1/2-inch. Grout lines wider than 1/2-inch are impractical and will crack and become unstable. Because unsanded grout can also be used for 1/8-inch lines, between the two it is recommended that you use sanded grout. Unsanded grout is best for grout lines as wide as 1/8-inch and down to 1/16-inch. The reason unsanded grout is used in this application is that sanded grout will not properly compact into thinner grout lines. Unsanded grout used in lines 1/8-inch or more will slump, crack, and otherwise not provide proper fill. Most grout lines with unsanded grout are no thinner than 1/16-inch. Sanded grout is used for tile surfaces where the possibility of scratching from the sand content in the tile grout will not be a problem. This feature can be beneficial for do-it-yourselfers who are not confident about their grouting skills and may need to re-grout at least one other time. Unsanded grout is usually recommended for tile that is easily scratched, such as natural stone, glass, and certain porcelains and ceramics. In theory, the sand content in sanded tile grout may damage these surfaces. In practice, some veteran tilers relate that the abrasion from sanded tile grout is likely not enough to scratch tile surfaces. Use sanded whenever cost is a critical factor, as unsanded grout is over twice as expensive as sanded grout. The reason sanded grout is so inexpensive is because sand is quite literally dirt-cheap and it forms the bulk of sanded tile grout. With unsanded grout, more expensive polymers must be added to form the content, significantly driving up the cost.